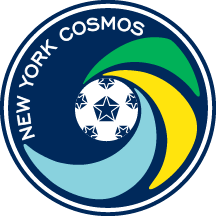 NEW YORK (January 14, 2016) – The New York Cosmos announced today the signing of forward Jairo Arrieta pending a physical examination. As per club policy, terms of the deal were not disclosed. Arrieta, 32, arrives in New York having made 27 appearances and 15 starts for D.C. United during their 2015 Major League Soccer (MLS) campaign. He scored five goals and picked up two assists in 1,264 minutes on the field, helping his club reach the Conference Semifinals of the MLS Cup Playoffs. Prior to D.C., Arrieta played three seasons for Columbus Crew, tallying 17 goals and nine assists. First called up to Costa Rica’s senior national team in 2011, Arrieta won the Golden Boot at Copa Centroamericana in 2013 as the tournament’s top goal scorer. La Sele captured first place with a 1-0 win over Honduras in the final. Arrieta’s senior career began in his home country with Brujas F.C., where he made over 100 appearances from 2003-06. He then moved to Saprissa, Costa Rica’s most decorated club, before transitioning stateside to MLS.